This is the best of the best! 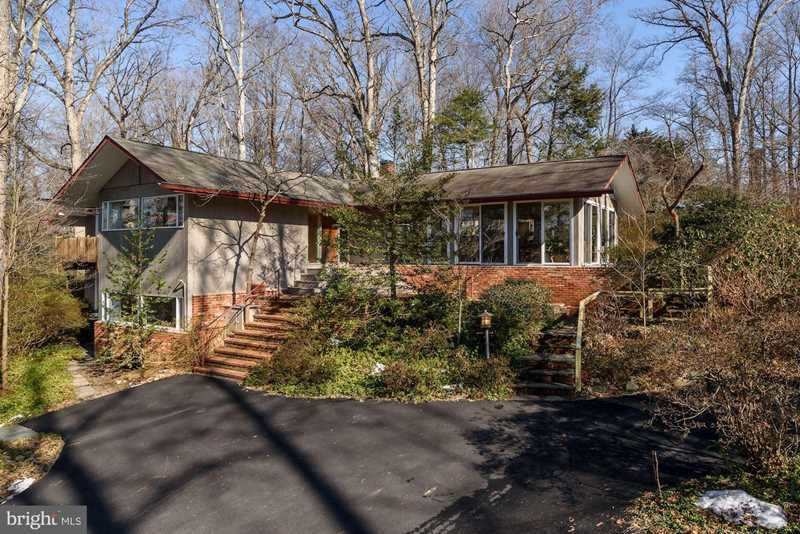 This Mid-Century home has incredible 'bones' and awaits your personal touches & design. Walls of windows through out allow sunlight to pour in with beautiful views of the outdoor landscape. LR has cathedral wood beam ceiling w/recessed lighting & skylights, floor to ceiling windows & wood burning FP-dramatic yet cozy. Separate DR w/wood burning brick surround FP & door to rear patio. Open floor plan flows easily between LR, DR, kitchen & All Seasons Room, perfect for entertaining. Keep the 6 burner Thermador and renovate the kitchen to gourmet grandeur! All Seasons Room blends nicely with the kitchen and gives you casual eating space, skylights, and access to backyard patio & waterfall/pond. Windows all around the first lvl provide breathtaking views of the 100's of azalea bushes and professionally landscaped yard. These award winning azaleas were nurtured and cared for by the owner in her very own Greenhouse that sits on the lot and conveys with the house. Awards from McCrillis Gardens, Brookside Gardens for rare breed azaleas. Whether you desire dramatic or simple style you have the opportunity of a lifetime to make this house your very own home. The outlot lends extra acreage but NO subdivision possible . A 15,000 kilowatt Cummins generator(top of the line) will give piece of mind if power should go out - generator is for the house and Greenhouse. Any questions please let us know. Its always fun to make a house your very own home. Directions:From Bethesda North on River Rd. Right onto Beech Tree Rd. Beech Tree turns into Burning Tree. Right onto Meadowlark. 8513 Meadowlark is on the left. SchoolsClick map icons below to view information for schools near 8513 Meadowlark Ln Bethesda, MD 20817.